The Government can take what they want, when they want. Welcome to Modern Christian Survivalist! I'm going to update the entire site and add a few things, but now that has been put on hold because my landlord is booting everyone. I will have to live in my truck so it will be rough, esp. with 2 dogs in a old Chevy S10 Tahoe. Wish me luck, and I will do what I can when I can with the site. I do have the new Forum, Q&A, and Gallery up. I still need to do some tweaking on them, all three use the same log in now. 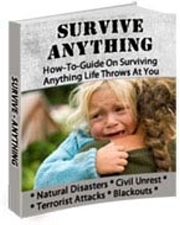 We have loads of free preparedness tips and ebooks covering specific disaster types, surviving nuclear disasters, evacuation planning, bioterrorism protection, SARS self defense, food and water preservation and storage, shelters, charts, survival gear, weapons procurement, first aid and survival medicine and more. So add us to your bookmark page and join our forum today. You can join our Free mailing list at the right (Free E-Book), if you wish to be notified of special events, new sections and receive our newsletter. 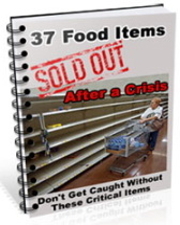 You also get a free ebook checklist you can use to prepare for the upcoming crisis. A few Predictions that we can all see coming. The economy will is getting worse for a lot of people, unemployment will and still is rising, more people will lose their homes, and your buying power will deteriorate. The economic news coverage in the major media often sounds good, as if we are in the midst of an economic recovery, but it is still troubling. There are hopeful signs, but it will be a long time before most of us see an improvement in our personal economic situations. Like when they say, “So many jobs were created”. Yet if you look down in the headlines you will see “such and such are laying off 1000 employees”. It seems the layoffs and firings get buried and not much news coverage, yet let a company hire 100 people and it is headline news. The way the recession is still going (yes I know they are saying we are out of it, but look around at the store closing etc). There are still many failures, collapses, closures, and bankruptcies. You can expect rising unemployment, rising prices, falling stock markets, more foreclosures, and panic in the government. That panic will lead to more ill-conceived stimulus spending and rescue packages that achieve little other than the waste of shrinking tax revenues and add to an unhealthy Federal deficit. Food prices, which are heavily dependent on the cost of oil, will also increase. In short, pretty much anything we buy will and already is getting more expensive. As people have to spend more money on food and energy, they will have less to spend on discretionary spending. The lack of discretionary spending will result in a falling sales and profits at most companies, which will lead to declining stock market values, store closures, more bankruptcies, rising unemployment, and a crisis in the commercial real estate market. The loss of jobs and rising unemployment will result in even more foreclosures, which will hurt the banking industry even more. Economic turmoil, food shortages, drought, rapidly rising prices, and political unrest will result in protest, strikes, riots, and civil unrest around the world. Rising prices and rumors of rice shortages caused food riots in a number of countries. Expect more riots and protests as food prices rise and food becomes scarcer. Not only are drought and other weather conditions cutting food harvests in Australia and Argentina, but the drought in the U.S. is already hurting food production. Plus, as prices rise due to inflation, it will become harder for people to afford to feed their family. This will result in protests against the governments and ruling parties, especially in poorer, less developed countries. But the cost of food is just one reason there could be unrest. Economic disparities between rich and poor, rising taxes, mass layoffs from what were formerly "government protected" jobs, and dissatisfaction with the current leadership will result in civil disobedience and unrest in countries across Europe, Asia and North America. Some of these will be sporadic and short lived, but others will be well organized campaigns aimed and regime change. The danger here is not tea party type protests and well organized marches, but rock-throwing, fire-starting, smash-and-loot riots that sends troops into the street and endanger nearby residents and business owners. Stock up on things you may need in the future, including food, paper products, health and beauty aids, clothing, tools and parts, etc. Don't put this off until it is too late. If you can only scrape together a little cash, spend it all on canned and dry food that can store a year or more. Avoid things you want and buy things you need or will need in the next three to 24 months. You may need new tires on your old car, a warm winter coat, a water filter, etc. Buy smart. Increase your food self sufficiency. Plant a garden. Identify wild food sources nearby that you can harvest. Consider raising livestock. In addition to traditional small livestock animals such as chickens and goats, rabbits and pigeons can be raised in most cities with very little space requirements. Make any large purchase soon. If you plan to make a significant purchase in the next year – such as a vehicle, some solar panels, or a major home repair or improvement – do it now, before prices increase. Buy ammunition now while the costs are down and availability is up. Lead, copper and brass are going to increase in price, and so will your ammo, so stock up. If you reload, buy components before they disappear again. Buy gold and silver coins to preserve your wealth, if you are lucky enough to have some to preserve! Take possession of the physical assets – do not accept certificates or let someone else hold the bullion for you. Keep it hidden close at hand or buried in the yard. Invest in international stocks, precious metals, oil and energy. If you have a 401k or IRA, shift a portion of your funds into these categories. Avoid municipal bonds and treasuries. Do some research but avoid decisions made in panic. Look for ways to generate additional income. Develop a side business, hone a skill, or make or accumulate something that can be used to barter. If you are in danger of losing your home, arrange alternate living quarters before the Sheriff arrives to kick you out. Relocate to somewhere less expensive. If you are going to lose your home, don't make partial payments; cut your losses and stop throwing good money after bad. Sell your municipal bonds, treasury bills, financial stocks and stocks in companies that have large government contracts (with the possible exception of defense companies). Get out of the U.S. dollar, the Yen and the British pound, both of which will likely follow the dollar down. Invest in precious metals, commodities, or other international currencies and stocks, such as the Australian dollar. If you have large amounts of wealth, consider buying real estate – especially farmland – and diamonds and other investment grade gemstones. These may not appreciate over time, but they should do a decent job of retaining their value through and after a collapse. Empty your safe deposit boxes of anything you might need in the next year or two. Keep a good record of anything else you leave in it. Buy a safe to store your precious goods or hide them in multiple locations Be discreet and don't tell anyone. Keep some cash on hand.No one knows what credit card companies will do during a bank holiday. No one knows if debit cards will work. So plan for the worse and have some cash to fill the gas tank or buy groceries. Sure, debit cards are convenient, but they are fallible and controllable. Cash is king. 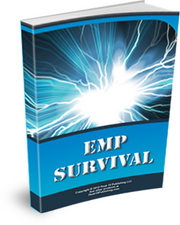 Increase your layers and levels of personal security. Protect yourself, your family, your residence, and your property by adding additional security. You already have good locks? Get an alarm system. Already have an alarm? Get a large dog. Already have a dog? Put up a fence to keep people from easily approaching your house. Form an informal neighborhood watch in which you and your neighbors agree to look out for each other. Already have a gun? Go to the range and practice. Buy more ammunition and possibly another weapon to arm a family member or friend who is not so well prepared. Vote the bums out. About the only thing that will stop this spending is to elect fiscally conservative candidates to congress. We need representatives with the balls to make unpopular decisions, cut back expensive programs, cut budgets, reduce the size of government, and reduce regulation. Don't be fooled by a politician's rhetoric, promises and lies. Look at their behavior, voting history, and any legislation they have sponsored. I have never seen a president say one thing and do another as much as this one has, and I have never seen so much of the media -- and as a result the public -- turn a blind eye to his breaking of multiple campaign promises. Take advantage of the government's largess, if you are in a position to do so. You might as well get some of your tax money back before these programs go broke. If you are unemployed or underemployed, apply for food stamps. If you can get green energy tax credits by improving your home or investing in solar power, then do it. Avoid protests. Try to avoid areas where a protest is likely to take place. Avoid getting swept up into a protest, stuck in traffic and unable to navigate because of a protest, or trapped in your home or business along protest route, especially if it turns into a riot. If there has been civil unrest in major cities but not yet in yours, consider leaving the city for a safer location. Stock weapons and ammunition. If you are a home owner or business owner in an area where a riot breaks out, battle rifles and shotguns may be your best chance of surviving. As the Korean merchants proved in the Rodney King riots, superior firepower can deter an angry mob. And should society break down to the point that there is no law and order, only those strong enough to enforce order will have any chance of survival. Even if you are not in the path of destruction, be prepared to defend yourself, your family and your stuff from marauders. In the advent of a total break down, also referred to as the end of the world as we know it (TEOTWAWKI), keep a low profile, partner with friends and family for mutual support, act proactively to protect yourself. Prepare for higher gas prices. Higher prices at the pump and possible shortages will be a natural consequence of war with Iran. If you plan on storing gasoline, buy it before prices rise, then treat it for storage and rotate it. Prepare for a potential nuclear conflict. Iran is one of the hot spots around the globe that could either use or be the target for nuclear weapons. The key to surviving a limited nuclear conflict outside the U.S. is not to panic. Stock up and prepare to batten down the hatches. A shooting war in the Middle East will result in major economic unrest, possible terrorist attacks and a very tense situation in the U.S. Avoid international travel and limit domestic air travel. Avoid international travel and avoid target locations. Not all terrorist attacks take place at home, but Americans are often targeted in Europe, Asia and the Middle East. If you must travel, avoid touristy places like night clubs. At home, avoid likely target areas. In the advent of a terrorist attack, avoid similar places and situations. Simply put, if terrorist bomb a subway in New York, stay off the subway in other cities as there could be similar attacks planned for the same day. If they attack a mall, stay out of malls. Keep your eyes open. The Christmas Day Bomber was stopped in part by the quick actions of a fellow passenger. The terrorist had been sitting directly above the plane's main fuel tank when he attempted to set his explosive off, but quick action by a heroic passenger, stopped him before the fire could spread behind his seat. Keep alert! You may find yourself in a position to stop an attack or at least alert authorities to something suspicious.